I am a law student who lives my live by the principle 'It's not who you are underneath, it's what you do that defines you'. The summer holidays are right around the corner and there never seems to be many places close by where you can go get an adrenaline rush without paying excessively or entering a theme park in Sydney. However, Go karting in Minto is the perfect arena for people who enjoy bumper cars and fast paced racing where the whole family can join in on the fun. 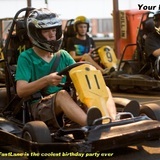 Go Karting) Fast Lane Karting in Minto is located just off the Campbelltown exit when travelling on the M5 motorway and can be conveniently reached by car from those travelling on the M5, M7, M2 and M4 motorways. 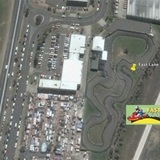 For those travelling by train, the Go Karting track is located 10 minutes away from Minto train station. The track at Minto is 500 metres long, with a safe and detailed route, that mostly avoids collision but allows for fast paced racing among drivers. The karts for over 18's can reach a speed of 50 km/h, with several safety measures in place at the track, that allows for drivers to get an adrenaline rush, without risks to their safety. The age limit for a driver to be on the track by themselves is 9 years of age, with drivers below 18, requiring parental consent. Go Karting is ideal for parties, family outings and an adventurous day out with friends, with cheap admission tickets of $15 for drivers over 18 and $13 for junior drivers. There is enough entertainment at the track to keep everyone occupied, even those who don't want to drive, with gaming machines, pool tables, outdoor settings and food available at the counter. There is also an electronic timing technology that is implemented at the track which allows for drivers to compete with one another to identify the fastest time taken to finish a lap. A negative aspect of go karting is that drivers are often instructed by staff not to drive too closely with another, due to the impact of collisions that can result in minor bruises to the knees. So, for those people who want to satisfy their need for speed, race at an exciting location that is great for event hosting and enjoy an outing with a large group of people, then go karting at Minto is the place to be.